Remember the last time you were on hold for close to “forever” when trying to access customer support? Imagine being able to have the issue resolved in less time through chat or a bot that makes self-service possible. Yes I did..The second most recent Buzzword in the recent past after Covfefe has got to be bots and more specifically chatbots. Bots basically refer to software that automates tasks. Chatbots automate and simulate conversations with humans through a chat interface.This could be through Facebook Messanger, Telegram, WeChat ,Slack or other IM Channels. At the intersection of Artificial Intelligence, Computer Science and Computational Linguistics sits Natural Language processing through which computers can understand and manipulate human languages. Through NLP, deveoplers can organize necessary information to provide automatic summarization, translation, sentiment and similarity analysis as well as topic segmentation. 1. Advancement in Artificial Intelligence and Machine Learning. Chatbots have been around for some time now. However, the recent advancements in Artificial Intelligence and Machine Learning are making it possible to create better, faster and stronger chatbots. 2. 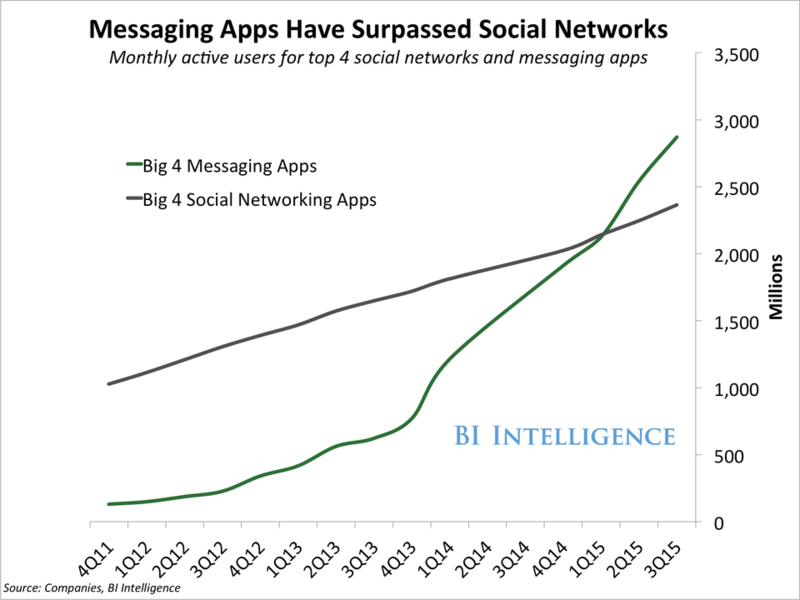 The growth of Messaging apps. Messaging apps have become the number one way through which people communicate which makes it necessary for businesses to discover ways through which they can engage with their customers through IM. The top four Messaging apps combined user base is larger than that of the top four social networks. Messaging apps also have higher retention and usage rates compared to most mobile apps which makes them more appealing to businesses and marketers. 3. Efficient for repetitive tasks. Bots and other virtual assistants are a cost effective way of supplementing your existing customer support. Bots can deal with repetitive queries that are received by customer service teams. This eliminates customers' frustration of waiting long hours for responses to inquiries or complaints and also improves your company’s responsiveness.WIN-WIN. A telecommunications company that handles thousands of similar airtime balance or data subscription inquiries can use customized bots to handle the repetitive functions and thus free up time for the customer support team to handle more complex requests. Most of your customers do not fancy waiting in line to connect to customer agents over what would be a very simple query. Providing an opportunity for self service empowers your customers to solve issues they can handle on their own. According to Accenture, 73% of consumers prefer to do business with brands that use their personal information to make their shopping experience more relevant. Though most bots are not as intelligent yet and are probably more of lightweight apps through continued interactions they will be able to completely understand you. Chatbots in the course of interaction with your customers collect important information on your customers which can be used to enrich or personalise future interactions with your brand. The bots then make logical guesses based on previous actions. This data also helps you map out your customers’ journey and identify points at which you can make it more efficient. Bots also allow you to connect with your users without requiring them to install more apps. When using a messenger bot, it is available across android, iOs and web platforms.